Sanbot Nano Humanoid Telepresence Robot. The Sanbot Nano Cloud-Based IoT Humanoid Telepresence Robot is designed for all of your smart home needs. 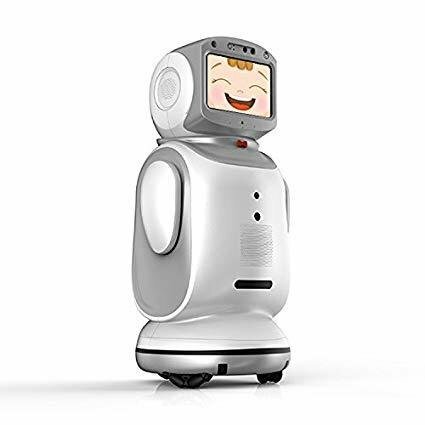 This robot comes with an advanced voice interaction system, high-quality speakers, and terrific communication functions, making Sanbot Nano the next family member. Sanbot Nano is equipped with the voice localization technology, so the robot will always face you when you are giving it a command.